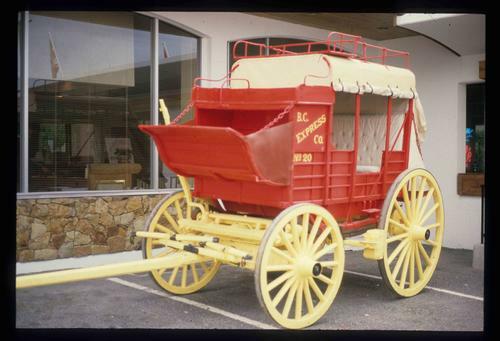 Image depicts a red carriage labelled in yellow "B.C. Express Co. No. 20." It is possibly located in Kamloops, B.C.